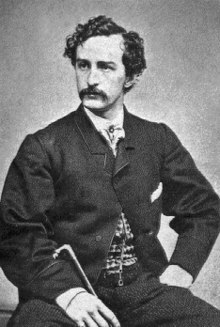 Aisteoir Meiriceánach ab ea John Wilkes Booth (10 Bealtaine, 1838 – 26 Aibreán, 1865). B'eisean an duine a d'fheallmharaigh Abraham Lincoln, a bhí ar an séú hUachtarán déag ar na Stáit Aontaithe, ar 15 Aibreán, 1865. Ar an 26 Aibreán 1865, lámhachadh John Wilkes Booth. Tugadh an leathanach seo cothrom le dáta an 4 Bealtaine 2018 ag 07:58.